I think it is about the right time to give some thoughts and inspirations from Rogue One. There are so many really great points, plot twists, and analogies to draw upon. 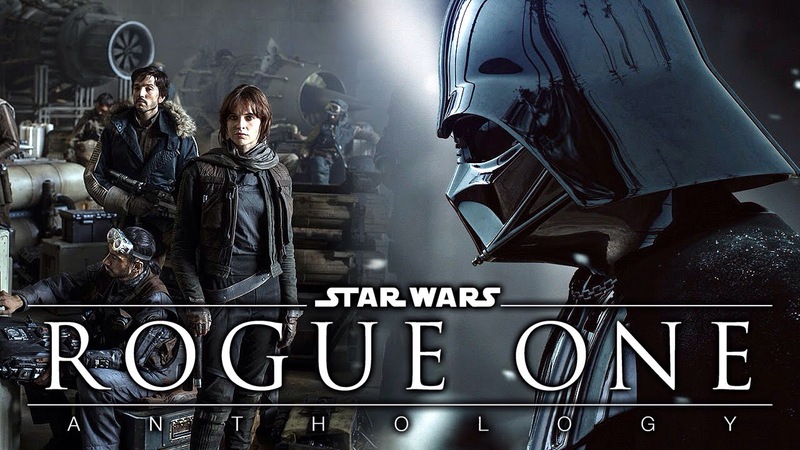 Rogue One kept true to the original plot for the most part, however it also broke tradition and gave a us a fresh perspective on the Star Wars galaxy. What is Star Wars famous for, right from the beginning of each film? The famous scrolling titles usually brings us up to light speed and into the story at hand. In this tale, with one carefully placed trumpet, we are thrown right into the action without the floating narrative. Instead of the text being in one place it was spread out through the entire film. There were so many planets that we were given captions as each one appeared on the screen. I think that the original scrolling text was there because the Jedi were our storytellers. Since this story was from the common man’s perspective we received the play-by-play as it happened. Rogue One wasn’t history being told, it was still being written. Did that signify anything to you? Change is healthy. I know there are a lot of purists who aren’t happy unless things are predictable, familiar, and need I say, status quo. That’s not real life, right? God keeps things fresh in our lives with change. We can either embrace it or reject it, but as they say change is the only real constant.